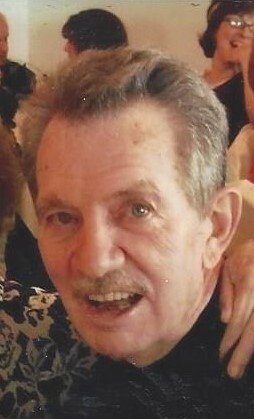 Obituary for William D. "Smokey" Faltz Jr. | Joseph W. Nickels Funeral Home, Inc.
William D. "Smokey" Faltz Jr.
William D. "Smokey" Faltz Jr., 82, of New Stanton, passed away peacefully Wednesday, Nov. 14, 2018, at St. Anne Home, Greensburg, surrounded by his family. He was born Feb. 20, 1936, in Greensburg, son of the late William D. Sr. and Edna (Feltes) Faltz. Prior to his retirement, Smokey was owner of Scientific Tool Inc., located in New Stanton, which he took over from his father in 1977. He was a member of St. Edward Church, in Herminie. Smokey was an avid golfer. He enjoyed hunting, fishing, camping and just being in the outdoors. He also loved to dance. He was a brilliant man and was very passionate about giving back. He had such an influence on so many people. He was also a kind man that never complained and always had a nice word to say about everyone he met. Smokey is survived by his beloved wife of 62 years, Joyce E. (Stubbs) Faltz; son, William D. "Smokey" (Tina) Faltz III, of Greensburg; two daughters, Billie J. Coulson, of Irwin, and Brenda (Michael) Turkovich, of New Stanton; seven special grandsons, William, Chris, Will, Aaron, Daniel, Joshua and Jared, and three special great-grandchildren, Brianna, Skyler and Isabella; a sister, June (Grady) Ford, of Florida; and numerous nieces and nephews and great-nieces and great-nephews. Smokey had a heart of gold and was truly loved by all who knew him. He will be dearly missed by his family, many friends and neighbors. The family would like to thank the staff at St. Anne's and Heartland Hospice for all their love and compassionate care. Friends will be received from 2 to 8 p.m. Friday at the JOSEPH W. NICKELS FUNERAL HOME INC., 404 Sewickley Ave., Herminie, PA 15637, 724-446-7251. A funeral Mass will be celebrated at 10 a.m. Saturday in St. Edward Church, Herminie. Please go directly to church. In lieu of flowers, please make donations to St. Anne Home, 685 Angela Drive, Greensburg, PA 15601. To send online condolences, please visit www.nickelsfuneralhomeinc.com.